Fabricated steel flange coupling adapter. Used to join plain-end pipe to flanges. 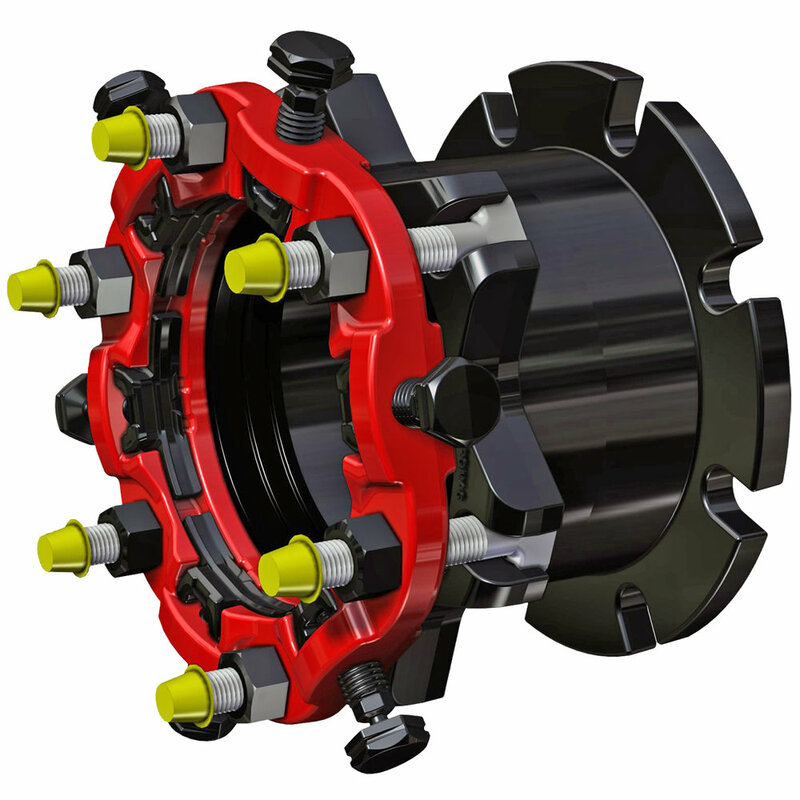 Ductile iron flange coupling adapter Connects plain-end pipe to a flange. 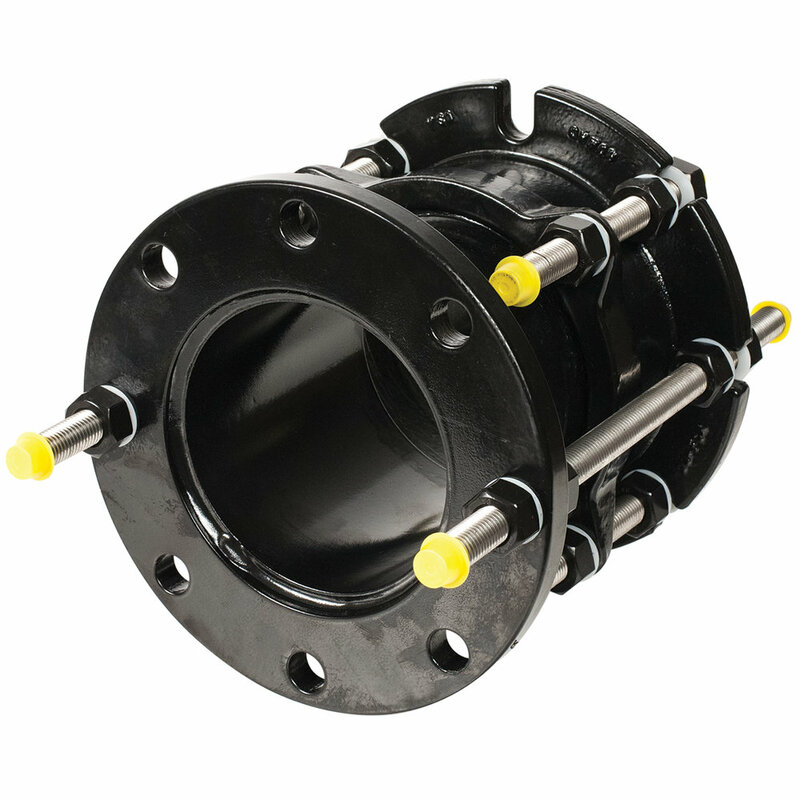 Wide range, restrained flange coupling adapter. Expansion joint. For use on pipelines where longer than usual longitudinal movements are concentrated. Adjustable telescoping restraint without tie-rods. Ideal for systems that require periodic maintenance, the DJ405 can be adjusted to length to allow access for installation or removal of valves and other equipment. Flexible expansion joint. Accommodates expansion, contraction, rotation, bending and settlement. Equipment connection fitting. 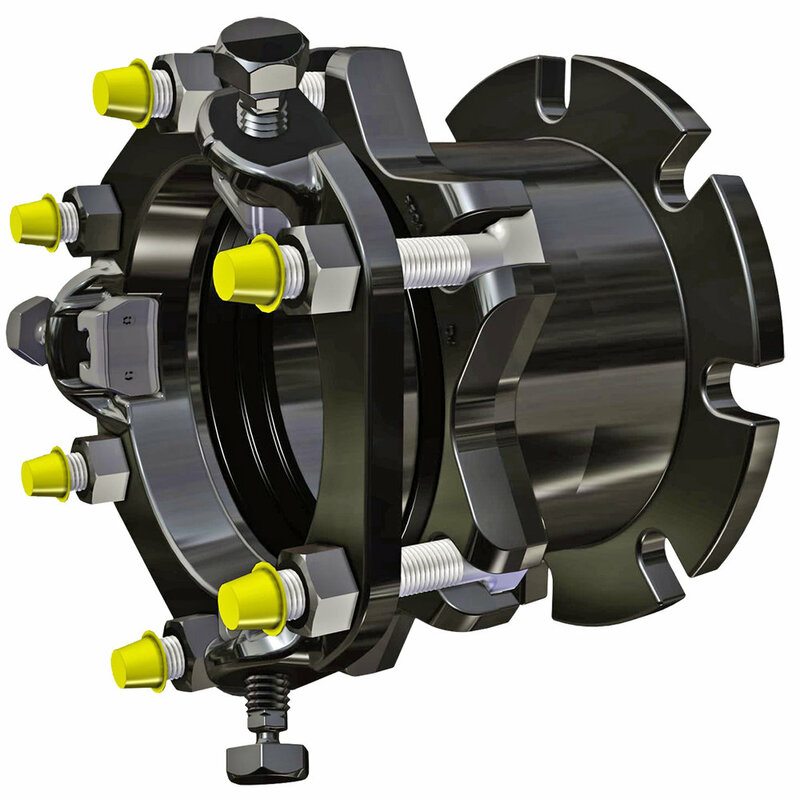 Used to provide offset, deflection, and restraint for systems with misaligned flanges. Dismantling joint. Adjustable telescoping flanged fitting. Ideal for systems that require periodic maintenance, the DJ400 can be adjusted to length to allow access for installation or removal of valves and other equipment. Ductile iron straight, transition and reducing coupling with color-coded end rings. Ductile iron reducing coupling with color-coded end rings. Ductile iron end-cap coupling with color-coded end rings. 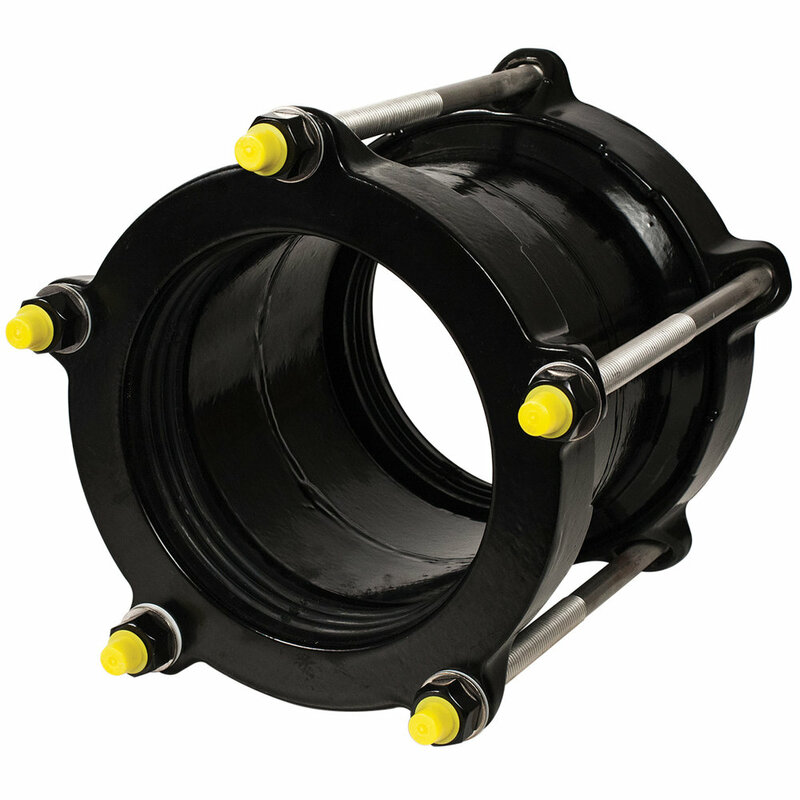 Two-bolt wide range ductile iron coupling. Wide range, two-bolt coupling with built-in pipe restraint. Fabricated steel pipe coupling for pipe sizes 12 inch and larger. Fabricated steel reducing pipe coupling for pipe sizes 12 inch and larger. Fabricated steel transition pipe coupling. Fabricated steel pipe coupling with insulating boot that prevents electrolytic action by isolating pipe ends. Stainless steel restrained pipe coupling with hydrostatic gasket. Stainless steel pipe coupling with hydrostatic gasket. Stainless steel pipe repair clamp with hydrostatic gasket.